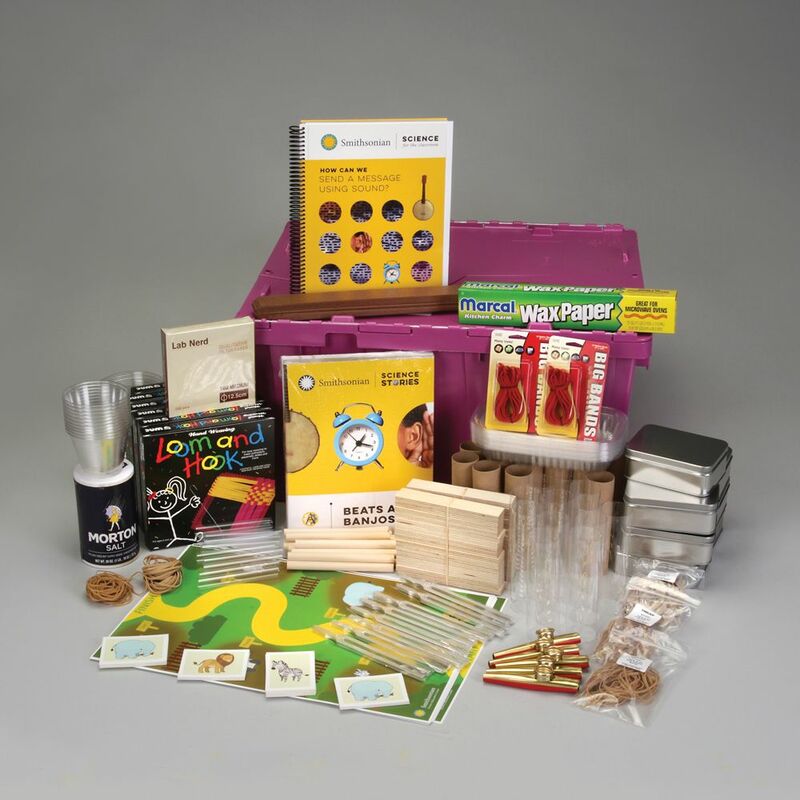 Go Back-to-School with Resources from the Smithsonian Science Education Center! Still preparing for the new school year? We've got you covered! We have curriculum, professional development, and digital media resources to help you start the new school year off right! Smithsonian Science for the Classroom was designed from the ground up to meet the Next Generation Science Standards. Smithsonian Science for the Classroom is a new curriculum developed by the Smithsonian Science Education Center. It is designed to engage, inspire, and connect your students firsthand to the world around them. The curriculum has been developed in consultation with teachers and field tested in a range of schools with diverse populations. It draws on the latest findings and best practices from educational research. For decades, the Smithsonian Science Education Center has been a leader in providing curriculum, professional development, and leadership development in support of inquiry-based science education. Introducing Mosquito! 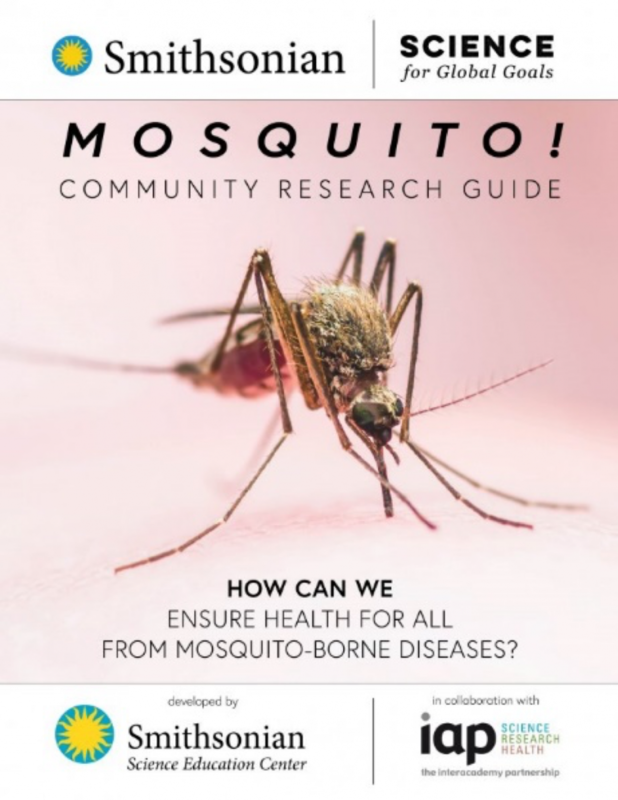 Community Research Guide: How Can We Ensure Health for All from Mosquito-borne Diseases? Have you ever considered mosquitoes and the illnesses they transmit from an ethical perspective? For example, do you think it’s ethical to kill all mosquitoes if that would protect humans from mosquito-borne diseases? You could also consider the issue from an environmental or social perspective. Should travel be restricted for people leaving countries where mosquito-borne diseases are currently present? Perhaps you have never thought about mosquitoes in these contexts. More than likely, you might have considered the economic cost of mosquitos, either to prevent them from biting you or to treat an illness caused by a mosquito-borne disease. But what about these other perspectives? Are they not also equally important to consider when working toward local and global solutions? If we only consider the economic impact of mosquitoes, we will never truly address all of the complexities within the global challenge to ensure health for all from mosquito-borne diseases. This is the issue students from across the globe will address with Mosquito!, the Smithsonian Science Education Center’s new curriculum module. 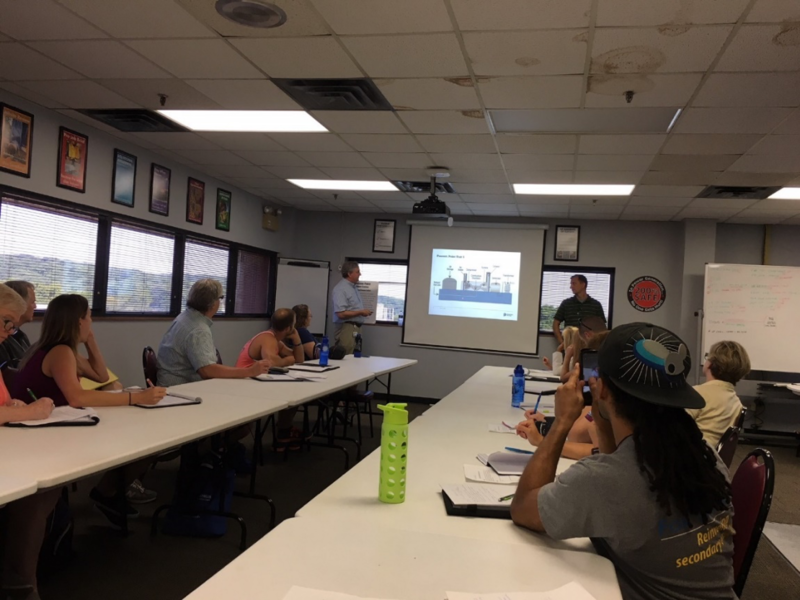 From July 8th to 13th, 2018, 17 educators from all over the country came to Washington, DC, to participate in this year’s Energy Smithsonian Science Education Academy for Teachers (SSEAT). Californians, Texans, and Washingtonians alike spent the week going behind the scenes of Smithsonian museums and facilities to learn more about the history of energy, current energy production and consumption, and alternative forms of energy for today and the future. The week was a whirlwind of experiences at Smithsonian museums and other field trips. Participants saw the exhibitions of the National Museum of American History and the backrooms of the National Museum of Natural History, the neutron research facility of the National Institute of Standards and Technology, and test drives in a fleet of electric and hydrogen fuel vehicles provided by the Electric Vehicle Association of Greater Washington, DC. These trips were supplemented by the expert knowledge of researchers and scientists from the Smithsonian, the Naval Research Laboratory, the National Oceanic and Atmospheric Administration, the US Department of Energy, and the National Institute of Standards and Technology who provided in-depth information on the complexities of energy. Sometimes there is nothing more refreshing than a cold drink. You walk into a restaurant, get your plastic cup of soda, and stab a plastic straw through the lid. The drink is gone in probably an hour at the most, but that cup and straw will be hanging around in a landfill or ocean long after that. What are these things made of that make them stick around for so long? Most drinking straws are made out of polypropylene, a commonly used polymer. A polymer is a very long chain of molecules all bonded together. Most plastics that you use are polymers. Polypropylene is made using propylene gas, a fuel made up of hydrogen and carbon atoms. The gas goes through a chemical reaction (polymerization), and a lot of the propylene molecules form one very long chain called polypropylene. This makes your drinking straws. Another polymer is polyethylene terephthalate. This is the plastic in soda bottles and is made of long chains of carbon, hydrogen, and oxygen atoms. Plastic has become a large part of our life ever since it came into popular use in the 1960s. It is used everywhere, from hospitals to shoes to food containers. It is inexpensive and easy to shape and use in a variety of ways. Medical use of plastic allows for making better artificial limbs. Sterile plastic packaging cuts down on the risk of infections. Plastic in the home keeps our houses at more reasonable temperatures and cuts down on energy costs. Using plastic to preserve food keeps it good and fresh for longer. But with all this plastic use, where does it all go after we are done with it? Plastic can’t decompose like other natural materials. In the future, there will be a need to make better plastics and be more careful with how we use it.